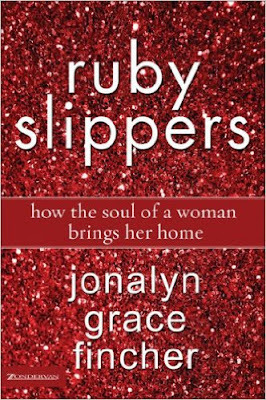 I first read Jonalyn Fincher’s blog back in 2007 or 2008 before she had even published her book Ruby Slippers, and I waited a long time to actually read the book, even though every once in awhile, I would go back to her blog and consider her thoughts and nuggets of wisdom. It wasn’t until about two years ago that I finally bought the book and spent a long time reading through it. See, for me, reading non-fiction is often a challenge and a chore, even if the book is meaningful, which you’ll soon learn that Jonalyn Fincher’s book most definitely is. It took me a long time to decide on which book would be my Books That Read Us choice, and it wasn’t until I’d gone through several options before landing on this one. That’s not to say that this book didn’t have as much of an impact on me. The truth is, because it’s non-fiction is precisely why it had so much greater an impact on me, because it would have been easy for me to give up on reading it, excusing myself as not really much of a non-fiction reader. 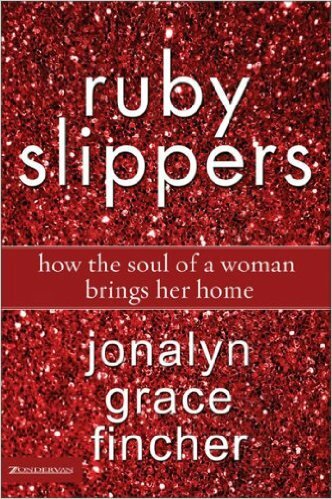 There are, I’m sure, many great volumes out there about women, women in ministry, women at home, women in careers (I just recently skimmed through Lean In, which is good, but didn’t have the same impact as Ruby Slippers), and so on. Actually, she explicitly discusses that last one, which is one of the biggest lies we’ve been sold on as women and men. What Fincher does in Ruby Slippers is take the idea of femininity and give it purpose. She gives femininity the spiritual, philosophical, and even psychological treatment, analyzing the aspects of the feminine that underlie all cultures and times. She shows how we are freed from the idea of female “roles” and gendered stereotypes, and what being feminine can really be. One of the most powerful scenes in the book is a description of a woman reading Isaiah, and coming across a passage about God as a nursing mother. It’s an idea many of us have heard, but few have really grasped the full meaning of it. I think it’s beautiful and powerful to finally grasp how God is both masculine and feminine, that God cannot be bound by human descriptions, because male and female are both made in God’s image. Abby Fahmi is die-hard C.S. Lewis fan, a sporadic blogger and writer/lover of fiction. 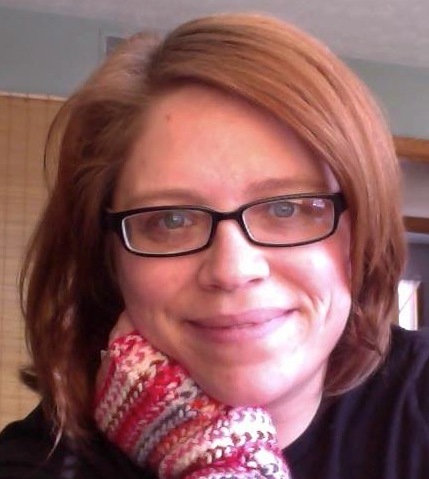 She recently became the administrative assistant for a brand-new faith-based mentoring program in a large city public school system, and has aspirations of becoming a chaplain one day. She spends large amounts of her time wrangling two over-achieving elementary students (a 10 year old dancer and a 7 year old computer nerd) with her photographer husband. She sometimes blogs at abbyfahmi.wordpress.com and you can find her on Twitter at @abbyfahmi.